PlayUp Limited is a technology developer as well as a fully operational Fantasy Sports, Sports Betting and Online Gaming ecosystem. PlayUp Limited operates PlayUp.com, ClassicBet, Draftstars, Betting.Club, TopBetta and MadBookie. PlayUp Limited will deliver the world's first fully-integrated, blockchain enabled global fantasy sports, online sports betting and gaming ecosystem. 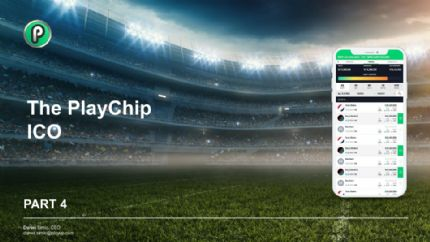 PlayUp Limited currently has more than 900,000 users and is represented by international sporting icons such as cricket legend, Brett Lee, who has amassed a social network of over 4 million sports fans. PlayUp Limited currently employs 42 fulltime employees with offices in Sydney (HQ), Melbourne, Gold Coast, Darwin, Hong Kong. PlayUp Interactive Pty Ltd, a wholly owned subsidiary of PlayUp Limited, is a licensed gambling operator in Australia.